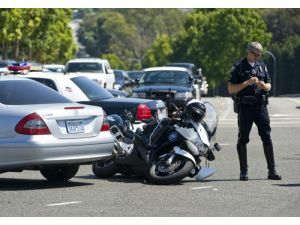 SAN DIEGO MOTORCYCLE ACCIDENT LAWYER REPORT: The San Diego motorcycle accident lawyers at Riderz Law have a tragic accident to report from last week. Last Friday, 49-year-old James Kelly Worley, from Poway, was killed in a motorcycle accident on the I-5. According to San Diego County authorities, Worley was heading northbound on I-5 just south of Basilone road on his late-model Harley Road King when he was struck by a car driven by Eugene McCulloch. McCulloch, a 23 year old Marine at Camp Pendeleton, drifted onto the dirt shoulder and lost control, sending him veering across two lanes of traffic and into Worley. Worley was thrown from his bike and died at the scene. Our thoughts and prayers are with Mr. Worley and his family. According to authorities, McCulloch claimed that he drifted onto the shoulder due to a hot ash falling off of his cigarette. California Highway Patrol have indicated that they will recommend McCulloch be charged with vehicular manslaughter. We are hopeful that Mr. McCulloch’s prosecution will send a message to other drivers to pay attention to the road and drive safely. 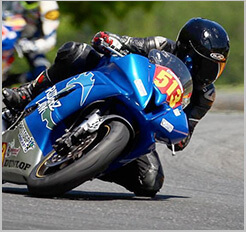 Unfortunately, as motorcycle accident attorneys, we see accidents caused by reckless drivers all too often.